Star Rooter and Plumbing, Inc. I liked that they took care of business. They were top notch, and they arrived right on time. They are good. Hire them if you need a plumber. They answered the phone and came out quickly. They didn't delay, and when they arrived, they gave good service. They are very reasonable, and they come to my home in a reasonable amount of time. 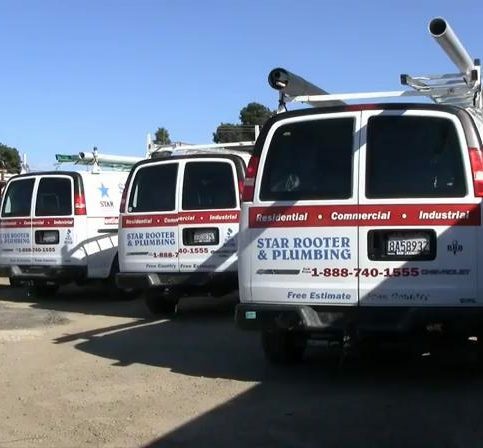 Star Rooter and Plumbing, Inc. provides a wide range of residential and commercial plumbing services for clients throughout the Bay Area. In addition to offering 24-hour emergency plumbing (with no extra charges on weekends and evenings), the company cleans sewers and drains and handles trenchless sewer repiping. It guarantees its service professionals will provide prompt service and arrive onsite in 45 minutes or less. 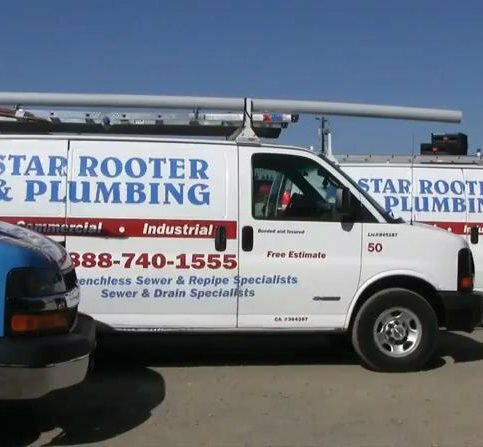 DIAMOND CERTIFIED RESEARCHED CAPABILITIES ON Star Rooter and Plumbing, Inc.
Company Name: Star Rooter and Plumbing, Inc.
DIAMOND CERTIFIED RESEARCHED ARTICLES ON Star Rooter and Plumbing, Inc.
Star Rooter and Plumbing sends a fully stocked service van to every job. 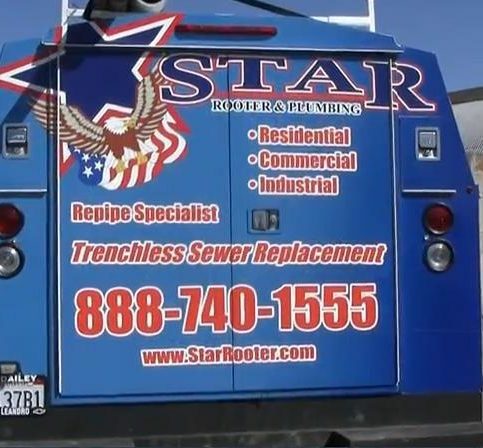 Star Rooter and Plumbing has been providing residential and commercial plumbing services, sewer and drain cleaning, trenchless sewer repair, and repiping services for Bay Area residents since 2004. Mr. Ramos and co-owner Juan Coronado are veterans of the plumbing industry with more than two decades of combined experience. In order to guarantee top-quality work and maintain their company’s reputation for excellent service, both owners personally inspect every job before it’s completed. • Don’t rinse cooking fats and grease in your kitchen sink. Instead, wipe them off or collect them in a tin and throw them away. • Don’t flush non-dissolvable waste down the toilet. Throw away solid waste such as wet towels, diapers and hygiene products. • To avoid tree root intrusion, don’t plant trees and plants with spreading roots near sewer laterals. • Conduct weekly drain cleaning maintenance to keep your drains flowing freely. Pour 1/4 cup of baking soda down the drain, followed by 1/2 cup of white vinegar. Wait a few minutes before rinsing the mixture with boiling water. • Install sewer backflow devices (SBDs) to avoid the backflow of contaminants into your home’s drinking water. • Have a professional plumber conduct periodic sewer line inspections to rule out or fix major obstructions. If you start smelling sewage or notice wet patches in your yard, your sewer line probably needs to be replaced. Replacing a sewer line can be expensive, so before you commit to any work, it’s important to determine if your pipes can be repaired instead. The best way to establish the condition of your sewer line is to have a professional plumber run a camera through it, but there are a few basic things you can look for that can help you decide between repair and replacement. Q: Are you local to the East Bay Area? Can you respond quickly? A: Yes. We keep six plumbing trucks at our Hayward location and have a plumber on call in the Berkeley/Albany area. We can usually respond within 45 minutes, regardless of when you call. Q: Are your employees professional and trustworthy? A: Absolutely. 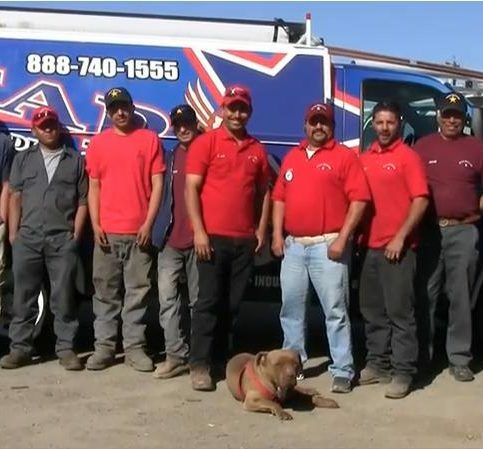 All our service trucks are clearly marked and our plumbers wear uniforms to identify themselves as veterans of both the industry and our company. Q: Why do you use an in-line camera and locator? A: Using an in-line camera and locator allows us to pinpoint the exact location and extent of any problem within your pipes, which makes for a more effective diagnosis and ultimately saves you money. Q: Why is my drain system moving so slowly? Is it clogged? A: Clogged or slow moving drains are normally the result of one of two problems. The first is tree and plant roots. Roots growing into a pipe or joint will clog and eventually crush the pipe, so having your pipe systems cleaned at regular intervals will help extend their lifetimes. The second is clogs in the line. Obstructions, offset joints and age are frequent causes of drain problems. We’re highly trained and utilize the best equipment, which gives us the flexibility to dislodge almost any blockage. Q: What are the advantages of trenchless sewer line replacement? A: First and foremost, it’s quicker and less expensive than the traditional ‘dig and back-fill’ method, which requires you to replant your yard, replace sections of your fence, and repair your driveway or sidewalk. The trenchless replacement process requires only two access holes, so your lawn, patio, driveway, sidewalk, fence, and cable and gas lines will remain unscathed. The cost is comparable to, if not less than, the cost of traditional sewer line replacement. SELECTED PHOTOS FROM Star Rooter and Plumbing, Inc. The company provides a wide range of plumbing services. It specializes in repiping and trenchless sewer replacement. 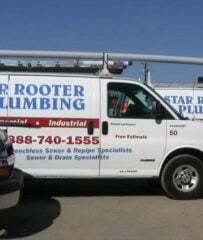 Star Rooter & Plumbing offers 24-hour emergency service. An illustration of the trenchless sewer replacement process. 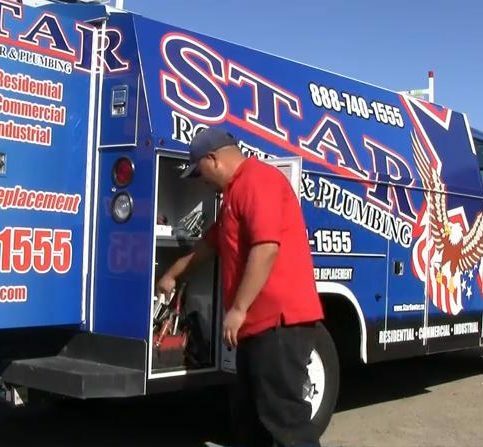 Fred Ramos is a 16-year veteran of the plumbing industry and owner of Star Rooter and Plumbing, Inc., a Diamond Certified company since 2011. He can be reached at (510) 402-5764 or by email. A: The Los Angeles Angels of Anaheim, mainly because I lived in Southern California for the first year I was in the United States. A: The city—everything is around you, so you don’t have to go far to find it. SAN LORENZO — In the past, when a sewer line needed to be replaced, it had to be fully excavated, which was an expensive, time-consuming process that carried the added bonus of disrupting one’s lawn, sidewalk and whatever else happened to be in the way. Fortunately, thanks to advancements in plumbing technology, this is no longer the case: with trenchless sewer replacement, a damaged pipe can be replaced quickly, easily and with remarkably little mess. Rather than tearing up the entire extent of the damaged line, trenchless sewer replacement only requires two holes to be made—one at each end of the pipe section being replaced. This allows the new pipe material (typically a flexible, high-density polyethylene) to be pulled through from one end to the other, using the old pipe as a kind of guide. Simultaneously, as the new pipe is being pulled through, the old pipe is destroyed by a “bursting head” that is attached to the front end of the new line. Altogether, this innovative method enables plumbers to replace a damaged sewer pipe in a matter of hours, with minimal disruption to the customer’s yard, schedule or budget. SAN LORENZO — Host, Sarah Rutan: While repairing a sewer line was once an arduous job, modern innovations have enabled plumbers to streamline the process. Today we’re in San Lorenzo with Diamond Certified Expert Contributor Fred Ramos of Star Rooter and Plumbing to learn more. Diamond Certified Expert Contributor, Fred Ramos: So, the benefit of trenchless is that you don’t have to do the old way. 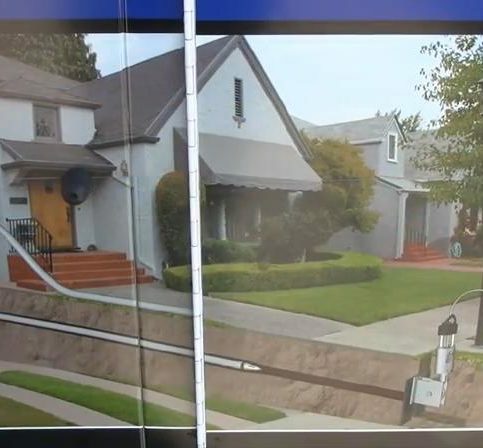 The old way was to open trench and just mess up your lawn, mess up sidewalk, street, and everything. This is a benefit of the technology, the trenchless system. When you only make two holes, one at the beginning, one at the end, we insert the new pipe through the old pipe. It burst the old pipe and it takes it end to end. And then, within couple hours, you have a brand new line and don’t have to worry about future problems. So, definitely this system is a very good and a benefit from future tree roots coming into your new line. 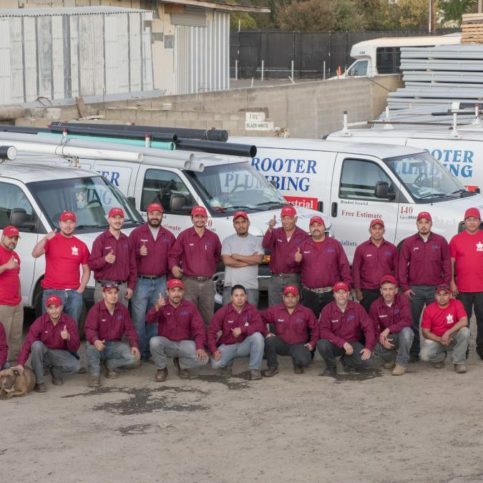 Diamond Certified RATINGS ON Star Rooter and Plumbing, Inc.
Star Rooter and Plumbing, Inc. : Average 8.8 out of 10 based on 195 unique customer surveys of customer satisfaction. They are honest and straightforwarded. I caught them on the street and asked them if they could take care of a quick job for me. They immediately called their boss to confirm a date to work for me and were cleared. That told me how seriously they took their job and the extent of service they would practice in order to accommodate a customer. I would say that they are professional, honest, and not sales driven. The price was fair, and they did a great job. The foreman Joe came out and kept his word about the quoted price. They took initiative and followed through with everything they said they were going to do. Very dependable and reliable, as well as accommodating, and being the property manager of our company, it is important that the company I work with is on top of their game. They were reliable and professional. I thought they were very helpful and efficient. Hire them for the job. I would highly recommend them. I was pleased with their work. They were fair and honest. The worker, Joe Ramos, was great. The overall service, and they were in and out. They are straightforward, and they have a good work ethic. They met our expectations. So far, the plumbing is doing good. Juan was super helpful, accommodating, and informative. I would definitely use them again, because I liked their competitive pricing. They show up when they say they are going to, and they provide the service that they advertise. Their pricing seems competitive. They came out, gave me a bid, and they did the work. They are very prompt in coming out, and they were very professional. They were very good. They were very courteous, on time, and they stayed until they fixed my problem. They are reliable and dependable. They tell you upfront how much it will cost, and they are very polite. I like them as individuals and as professionals. I have used them several times in the past, and I was very impressed with them. They are personable and very capable. Their efficiency, and when they say they will be here in an hour, they are here. They were very personable and very prompt. He was very calm. When I told him about the water that was under the house, he told me to get some kitty litter, and he came out the next day to put it under the house, which was going the extra step. He let me look at the camera, so I could see what was in the sewer line, and he told me what was corroding, where the roots were, and what was blocking stuff. I liked the service they provided. They did everything in one day, and he had a number of people to help him. They asked if they could leave some dirt, and I said they could, but when it got to be too much and there was debris from the sewer line in it, they came by, picked it up, and disposed of it for me. They are honest, forthright, and inexpensive. The price and the service, it was timely and courteous. The communication was good.